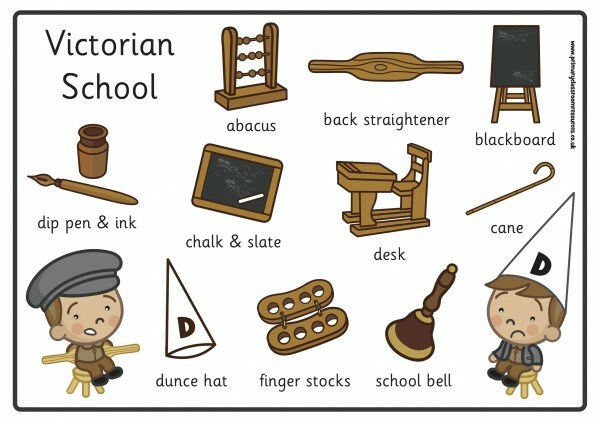 Victorian children's education facts. How were the teachers and schools? How was Victorian children’s education? Were their schools and teachers very different from today’s schools? What subjects did the students learn? Not all Victorian children went to school for a formal education. More than 50% were unable to even read or write when they grew up. Some children used to go to Sunday schools which were run by churches. 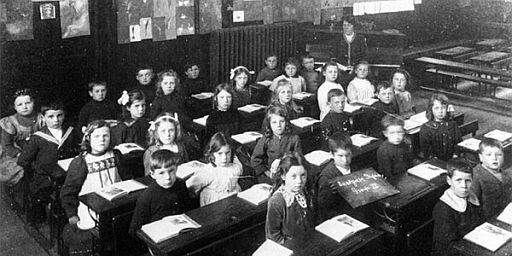 How was Victorian Poor children’s education? What was Victorian School timing? Rich children were lucky as compared to poor children. There were nannies to take care of them and they also had toys & books. Governesses used to teach the kids at home. Once older, they were sent away to a public school such as Eton or Rugby. Girls did not enjoy that aspect. They typically stayed at home and were taught singing, piano playing and sewing. Eventually, poorer children under the age of 12 also started to go to school. This started towards the end of the Victorian era. Poor kids had various types of schools. The youngest would go to a “Dame” school which was run by a local woman. Classes would take place in a room of her house. The older kids went to a day school. Other schools were managed by churches and charities. 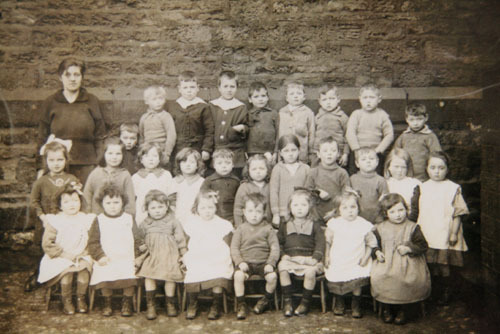 These included “ragged” schools which were meant for orphans and very poor children. 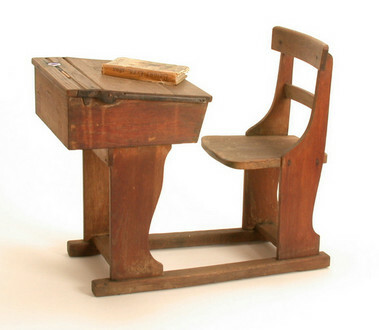 After 1870, things changed and all children from the age of 5 to 13 had to attend school by law. In those days, imagine walking to schools during winters without the comfort of heated cars. Kids faced a tough walk to school for several miles. Naturally, a large number didn’t turn up. School time was from 9 am to 5 pm. There used to be a 2-hour lunch break. Unlike today’s schools, classes used to be very large which meant that all students ended up doing the same thing at a time. Once the teacher gave a command and the children would open their books. At the second command, they would copy sentences from the blackboard. 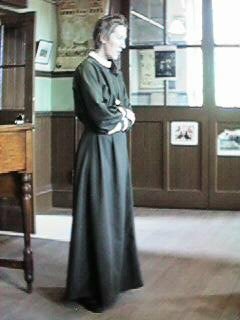 Teachers in Victorian times can be described in two words: Strict and scary. Children were expected to do what the teacher asked, otherwise they would get a punishment. Punishment would be typically a rap across the knuckles with a ruler, or a clip around the ears. Unmarried ladies were more likely to take the teaching job, giving teachers the title of “miss”. After getting married, they stopped teaching. The pay being poor, men preferred not to take up teaching jobs. A college education was not how the teachers learned a subject, but they learned “on the job” in a sort of apprenticeship. At the school leaving age, those with aptitude could stay on as “pupil teachers” and would help the teacher in exchange for lessons. A system of monitors existed in some large schools. Brightest boys would be selected and would then be taught by the headmaster in separate lessons after school. The next day these monitors then took a group of boys each and taught them what they just learned. The blackboard and easel would take the top spot. The objective was for children to copy or imitate the writing for practice. 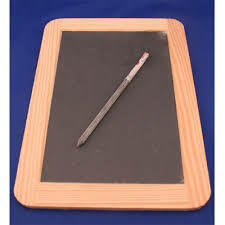 Slate was used to learning writing with a sharpened piece of slate called a slate pencil. A piece of sponge or a rag from home was used to clean the slate. Even a sleeve could act as a cleaner! Older children would use a dip pen and blue-black ink to write in a book with ruled lines. If a mistake would typically stand out giving the phrase “blot your copybook” when you make a big mistake. Victorian lessons focussed on three Rs-Reading, wRiting and aRithmetic. Kids used to “mug” things up to remember. By today’s standards, you can imagine how boring it would have been for both the children as well as the teachers. Pictures of animals used to be kept on the desks as the subject for the lesson. The idea was to observe and then talk about what they have seen. However, in practice, it used to be more of a copying exercise. Geography meant remembering countries on a globe or chanting the names of railway stations between London and Holy head. A school lesson timetable from the late 1800s shows interesting subjects like needlework, cookery, and woodwork. Even practical subjects like those were a matter of listening and copying what the teacher writes. A cane given on the hand or the bottom was used by teachers to punish naughty children. Even prefects would carry and use a cane in public schools. Punishment could be for any of these: being rude, answering back, speaking out of turn, poor work. Caned kids used to keep quiet to avoid another round of punishment from their parents if they found out. These were very different times from today’s where such a punishment is strictly now allowed. A leather strap called a tawse was the preferred punishment tool in Scotland. Some of the deeds were written in a punishment book or log. Slow or dumb children were made to wear a dunce’s hat, a pointed hat with the letter D on it. How terrible! They would then stand in a corner for an hour or more. Sometimes they stood on a small stool, the dunce’s stool. At that time there was no understanding that some children had learning difficulties or learned more slowly, and teachers thought that these children were simply naughty or rebellious. They would then stand in a corner for an hour or more. Sometimes they stood on a small stool, the dunce’s stool. At that time there was no understanding that some children had learning difficulties or learned more slowly, and teachers thought that these children were simply naughty or rebellious. Wearing the hat they were made to stand in a corner or on the “the dunce’s stool” for an hour or more. Due to less progress in the medical field, teachers were not aware of learning difficulties or slow learners and they thought that these children were simply naughty. You would be surprised to know that even the left-handed children were punished and forced to use their right hand.